Developing successful problem solving techniques will help your business. Learn how to use decision making tips and develop a specific creative problem solving technique for your business challenges. All business owners and managers face problems and challenges in operating the business; it's important to find useful tactics and strategies, such as effective problem solving models, to ensure that you make the right decisions in facing your challenges. A significant aspect of managing your business includes developing and using problem solving models. Why? Because problem solving is a day-to-day activity in every business and as a business owner, you need to become very good at solving problems quickly and efficiently. By systemizing the solutions process, you can get to the root cause of the problem more quickly and work on ensuring that it does not recur. Note: I prefer the term solutions provider (which I've borrowed from the software industry), rather than problem solver. Maybe the new title for a Business Manager needs to be Solutions Provider? Solutions provider sounds so much more positive ... moving the focus from the problems to the solutions. However I will use problem solving in this discussion to keep us focused on well-tested problem solving techniques. Business owners need to become more proactive at developing solution models to ensure that when problems arise, there is an effective system in place to resolve them. Managers are often constrained in their ability to solve problems, and in their ability to use successful problem solving techniques, decision making tips, and a strong decision making model. there is the confusion of noise; everyone is talking, making it very difficult to listen and assess. Cause and effect: For example, Pareto analysis which looks at what 20% of the activities cause 80% of the problems and uses the analysis to focus on the highest benefit/impact problems and solutions. Often used when you have many problems all competing for attention. Sensitivity analysis is used to identify the degree of uncertainty or error in assessing the recommendations and/or conclusions. Risk analysis is used to identify and assess the factors that may jeopardize the success of a proposed solution or project. Brainstorming - known today as using a creative problem solving technique; engaging brainstorming with formalizing and structure (such as checklists, forced relationship analysis including structuring relationship sets). Both risk analysis and sensitivity analysis can help you first identify the issues and/or weaknesses in the project or solution, and then help you focus on reducing the risk or sensitivity. DMAIC (Six Sigma: define, measure, analyze, improve and control): this is a process improvement tool that helps you first find the cause of the problem and then establishes a methodology for improvement). While developed for quality improvement purposes, it can be used, often in an adapted form, for most problem solving activities. 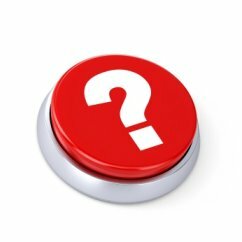 Ask the what, why, when, where, who and how questions? Why is there a problem? Do not assume you know the answer. Ask this question five times. Why is ABC customer dissatisfied? Because we were late on three of their last five shipments. Why were we late on three shipments? Because we had a production backlog and the products were not ready to ship. Why did we have a production backlog? Because the equipment malfunctioned. Why did the equipment malfunction? Because the scheduled preventative maintenance wasn't done on that unit. Why wasn't the preventative maintenance done on that unit. Because our maintenance technician was on holidays. Define the business scope or reach of the problem and then measure the impact of the problem. For example, if one customer is unhappy about poor service and late shipments, other customers will likely be unhappy. Set up your systems to report on late shipments (as compared to promise dates on orders). You may want to do a customer survey (don't be afraid, you really do want to hear what they have to say) to discover the primary causes of satisfaction and dissatisfaction. Analyze the data you have collected. Build a process map to help you define the root causes of the problem and the potential solutions. Use this process as your decision making model. For example, now you have drilled down to the root cause of the above problem example: no back up for the maintenance technician. Improve the process to eliminate the problem. To continue on with the above example, you have some options to solve the problem: hire an outside contractor for vacation or overload times or train someone on the plant floor to provide back up relief as necessary. A focus for your problem solving techniques must be to ensure you don't revert back and cycle the problem. Develop documentation and monitor your plan and/or solution. It's how you handle those problems that makes the difference between failure and success. You will likely find yourself facing a number of problems (or opportunities or challenges) during the day or week or month; problem solving at work isn't a scheduled activity - you need to face the problems or issues as they occur. Effective leaders learn to prioritize these problems and develop strong problem solving skills. Sometimes you can 'bundle' your problems or issues together as they are 'like' in nature. Sometimes you will want to deal with small, quick-decision problems just to get them out of the way. Make sure that you measure business performance with specific criteria and parameters in place: accessing those measurements will help you solve problems later. But do not delay in dealing with urgent or priority issues. They may not be pleasant to deal with but those problems need to be solved as soon as possible. Make sure that you include others in using your problem solving techniques; particularly for significant issues. If you are a business of one, this is the time to talk to one of your business mentors or to access your business network. Sometimes a different perspective can give you a whole different look at the problem; and the solution. No matter the cause of the problem, it is important that you do not lay blame for it. This will only cause defensive behavior on the part of your employees or suppliers; soon they will try to mask those problems from you. The goal in problem solving is to define the problem, solve it, and put in place procedures so that problem does not recur. Some of the more complex problems need to have solutions you won't necessarily think of right away. Do some brainstorming or use a creative problem solving technique to consider all ideas (do not critique them, just list them) and then sort those ideas into do-able, not, or maybe. Use problem solving models that you're familiar with if you need to solve issues quickly. Focus your problem solving techniques on the do-able solutions and the cost (tangible and intangible) of each solution. Return from Problem Solving Techniques to Managing. Or return to More-For-Small-Business Home Page. One in three small businesses will fail within the first five years of operations. How can your business beat those odds? First, make sure that you have the right stuff to be a business owner: you need staying power, the ability to tolerate uncertainty and risk (or understand that no business is a 'sure thing'), and you need the ability to handle stress (such as how will you make payroll next week, how will you build your sales, etc.). Most successful business owners also have some sort of support system behind them: their friends, families, partners, even their bankers or lenders. Second, you need to do the right research. I've worked with clients before in putting together business plans for financing and the plan numbers are simply ridiculously overstated! No banker will believe widely inflated sales projections. Make sure you do thorough market research and planning: invest the time and resources in doing this part of your business building right. It will pay off in the long run. Develop your marketing program: what's your unique value proposition; what's your strategic competitive advantage; how are you positioning your business and your products and services; what new innovation or creativity can you bring to solve your potential clients problems? Third, if you don't understand finance and accounting (especially cash flow management, working capital management, and cost management processes) make sure you outsource that effort to a competent accountant or bookkeeper. And then have that accountant or bookkeeper keep you fully informed on a regular basis; you don't want to hear you've run out of money when it's actually all gone! The Products or Services; The Market; The Competition; Your Planning and Preparation!